The attention of the Federal Government has been drawn to rumours concerning vaccination perceived to be harmful to children. The Federal Government wishes to state clearly that there was no such harmful vaccination that took place nor any currently taking place in any part of the country. 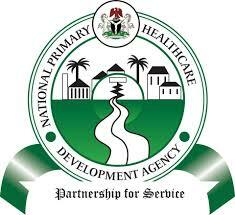 This was contain in a press release signed by the Executive Director of National Primary Health Care Development Agency (NPHCDA) Dr Faisal Shuaib and obtained by this paper. It further emphasized that the Federal Government wishes to re-assure all parents and guardians of the safety, potency and effectiveness of all vaccines. All vaccines used in Nigeria meet international standards and quality set by the World Health Organization (WHO) and are further certified by the National Agency for Food and Drugs Administration and Control (NAFDAC). While acknowledging and commending all states, local government areas, the media, civil society, development partners, traditional and religious leaders for their un-wavering support and commitment to immunization, the Federal Government appeals to those peddling such un-patriotic, malicious and misleading information to desist from such acts that undermine our trust and faith in the health system. “Immunization is the most effective public health intervention. The primary benefit of vaccination is that it prevents disease and confers immunity. Vaccination protects the people we care about, it is cost-effective and saves lives. Over the last decade, government’s commitment to safeguard the lives of its citizens has seen a significant decline in the incidence of childhood killer diseases. It is important that we do not allow such misinformation to reverse the gains recorded. Vaccination is not just a personal choice. Parents who choose not to vaccinate their children expose the entire community to the risk of disease outbreaks.” Says Dr Faisal. As Nigeria conducts national rounds of Polio, Yellow Fever and Measles campaigns, beginning from October 2017, all parents are urged to continue to avail their children of the opportunity to receive the safe vaccines and thereby protect them from vaccine preventable diseases.